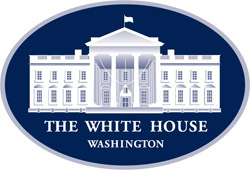 On March 18, the White House honored 14 female veterans as Champions of Change, including Entrepreneurship Bootcamp for Veterans with Disabilities (EBV) and Veteran Women Igniting the Spirit of Entrepreneurship (V-WISE) program graduate and V-WISE ambassador Marylyn Harris, V-WISE graduate Ginger Miller, V-WISE “First” honoree Wilma Vaught and Syracuse University alumna Stacy Pearsall, a 2008 graduate of the Newhouse School’s military photojournalism program. EBV and V-WISE are operated by SU’s Institute for Veterans and Military Families (IVMF). After honorably serving the nation, these 14 female veterans are now providing exemplary leadership and advocacy for the veteran community in a variety of areas, including health, domestic violence, policy advocacy, homelessness, education, business empowerment and more. The Champions of Change program was created as part of President Barack Obama’s Winning the Future initiative. Each week, the White House features a group of Americans—individuals, businesses and organizations—doing extraordinary things to empower and inspire members of their communities. “These remarkable women continue serving our country with honor and grace, even long after they return from deployment. Their examples of courage, perseverance and selflessness both abroad and state-side are incredibly humbling, and serve as an inspiration for men and women across the country,” says Valerie Jarrett, senior advisor to President Obama and chair of the White House Council on Women and Girls. This week’s Champions of Change were honored March 18 during a Women’s History Month reception at the White House. The official awards presentation was held Tuesday morning in the Eisenhower Executive Office Building. In addition, awardees have each been asked to write a blog about the work they are doing in their communities. Their posts will be added to the Champions of Change site later Tuesday. Harris, a U.S. Army veteran from Houston, was nominated by IVMF executive director and founder Mike Haynie in recognition of her commitment to the veteran community; unwavering support of the institute’s V-WISE program, the first-ever to specifically empower women veterans, spouses and service members through business ownership; and success as a small business owner. Harris, a 2010 graduate of the EBV at Florida State University and V-WISE San Antonio, is a former Army nurse and disabled war veteran who founded the nation’s first and only Women Veterans Business Center (WVBC) in Houston. The mission of the WVBC is to educate and empower women veterans (and military families) to start and grow veteran-owned businesses. Harris, a business owner (in addition to the WVBC, she founded Harrland Healthcare Consulting in 2006 to provide staffing, training and administrative services), travels the country advocating for active duty service members, veterans and military families. Harris serves as the national “ambassador” for the IVMF’s V-WISE program, founded in 2010 to empower female veterans through business ownership. In fact, Harris helped to recruit at least 75 of the 150 participants for the first-ever offering of the V-WISE program in San Antonio in May 2011. V-WISE has now been offered in five U.S. cities, serving close to 1,000 women. Haynie says that the success of this effort has been due, in no small part, to Harris’s passion and dedication to the veteran community. Miller, a Navy veteran, attended the IVMF’s V-WISE program in Baltimore in September 2011. Founder and CEO of Women Veterans Interactive, she is dedicated to meeting women veterans at their points of need, while supporting them through advocacy, empowerment, interaction, outreach and unification. She actively promotes the importance of tailoring services to women veterans’ needs, and has organized a host of programs for women veterans that feature information, mentoring and peer support, capitalizing on their assets and helping them to overcome barriers to help seeking. She was appointed by the governor to the Maryland Commission for Women and the Maryland Caregivers Support Coordinating Council. Miller also serves as an advisory council member of the Maryland Veterans Resilience Initiative, and was recently named chairwoman of the Prince George’s County Veterans Commission. Vaught, an Air Force veteran, was the driving force that built the $22.5 million Women’s Memorial at the gateway to Arlington National Cemetery. She is now president of the Women in Military Service for America Memorial Foundation. The memorial, and its 33,000-square-foot education facility, is the nation’s only major memorial to pay tribute to America’s 2.5 million women who have served. The memorial stands as a place where America’s servicewomen can take their rightful place in history and where their stories will be told for future generations. Because of Vaught, the American people and visitors from around the world can learn of the courage and bravery of tens of thousands of American women who, like her, have pioneered the future. The IVMF honored Vaught as a V-WISE “First” during the opening ceremony of its inaugural conference in San Antonio. The program’s opening ceremonies recognize and honor significant “Firsts” for women in the military, and more broadly, in society, with a multimedia presentation chronicling significant “Firsts” throughout history and onsite ceremony to honor “Firsts” in attendance. “First” honorees are presented with the V-WISE “First” medal. SU military photojournalism graduate Pearsall is a combat-disabled Air Force veteran who earned the Bronze Star Medal and Commendation with Valor for heroic actions under fire. She now plays a pivotal role in changing and implementing new policy regarding veteran’s healthcare at the Ralph H. Johnson VA Medical Center. She is a spokeswoman/advocate for the VA, Defense Centers of Excellence, IAVA, Bob Woodruff Foundation, Independence Fund and the Air Force Wounded Warrior Program. She is a member of the American Legion and a lifetime member of the Veterans of Foreign War and Disabled American Veterans organizations, through which she gathers donated clothes and shower items for homeless veterans, and makes frequent in-patient visits to hospital-bound veterans. She is also a board member of the Foundation for Arts & Healing at Harvard University and Wounded Nature Working Veterans, both of which are nonprofit organizations that aid disabled combat veterans from every branch of service. She funds and photographs veterans through her voluntary project, the Veterans Portrait Project Foundation. Though disabled from combat injuries, Pearsall is a multi-medaled athlete, including gold, from the U.S. Paralympic- sponsored Warrior Games.